Issue: The question relates to the effect of Section 43A of the Act. The effect of fluctuation of foreign exchange rate resulting in increase of cost of plant and machinery was the dispute. Facts: Challenge in this appeal is to the judgment of a Division Bench of the Gujarat High Court dismissing the appeal filed by the present appellant. The appeal was filed under Section 260A of the Income Tax Act, 1961. Respondent-assessee claimed increased amount as deduction as investment allowance on account of increase in the cost of plant and machinery on account of exchange rate fluctuation. The assessing officer disallowed the claim on the ground that plant and machinery in respect of which there has been increase were installed in the earlier years. Therefore, there is no scope for provision for investment allowance in the year under assessment. It referred to the letter of the assessee dated 16.2.1996 making such claim. The assessee preferred an appeal before the Commissioner of Income Tax (Appeals) (CIT(A)). The disallowance made by the assessing officer was upheld by the CIT(A) on the ground that no arguments were advanced and no factual details were furnished regarding the alleged fluctuation on account of foreign exchange rate. The matter was carried in further appeal by the assessee before the Income Tax Appellate Tribunal, Rajkot (Tribunal) which allowed the claim placing reliance on a decision of the Gujarat High Court in Commissioner of Income Tax v. Gujarat Fertilizers (2003 (259) ITR 526). Revenue preferred an appeal under Section 260A of the Act before the High Court. By the impugned judgment the High Court upheld the view of the Tribunal referring to the judgment of Gujarat Fertilizers’s case. The assessment year in the present case is 1993-94 relating to the previous year 1992-93. 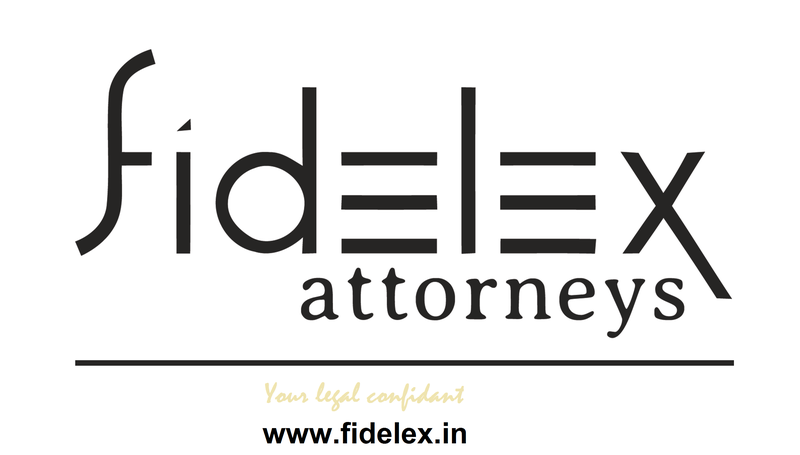 In terms of Section 43A(1) the liability decreases or increases due to foreign exchange rate in the previous year. If that is not the position, there is no application of Section 43A(1). Section 32A deals with investment allowance. Section 43A deals with special provisions consequential to changes in rate of exchange of currency. Section 43A in the present form was substituted by the Finance Act, 2002 w.e.f. 1.4.2003. Prior to its substitution Section 43A as inserted by the Finance Act, 1967 w.e.f. 1.4.67 and amended by Direct Tax Laws (Amendment) Act, 1987 w.e.f. 1.4.1989 contained sub-section (2). The said sub-section as it stood at the relevant point of time clearly stated that the provisions of sub-section (1) shall not be taken into account in computing the actual cost of assets for the purpose of deduction on account of development rebate under Section 33. We also find it difficult to find substance in the argument that Sub-section (1) was inserted only to define the year in which the increase or decrease in liability has to be adjusted. It is no doubt true that, but for the new section, various kinds of arguments could have been raised regarding the year in which such liability should be adjusted. But, we think, arguments could also have been raised as to whether the actual cost calls for any adjustment at all in such a situation. It could have been contended that the actual cost can only be the original purchase price in the year of acquisition of the asset and that, even if there is any subsequent increase in the liability, it cannot be added to the actual cost at any stage and that, for the purposes of all the statutory allowances, the amount of actual cost once determined would be final and conclusive. Also Section 43A provides for a case in which, as in the present case, the assessee has completely paid for the plant or machinery in foreign currency prior to the date of devaluation but the variation of exchange rate affects the liability of the assessee (as expressed in Indian currency) for repayment of the whole or part of the monies borrowed by him from any person directly or indirectly in any foreign currency specifically for the purposes of acquiring the asset. It is a moot question as to whether in such a case, on general principles, the actual cost of the assessee’s plant or machinery will be the revised liability or the original liability. This is also a situation which is specifically provided for in the section. It may not, therefore, be correct to base arguments on an assumption that the figure or actual cost has necessarily to be modified for purposes of development rebate or depreciation or other allowances and that the only controversy that can arise will be as to the year in which such adjustment has to be made. In our opinion, we need not discuss or express any concluded opinion on either of these issues. As we said earlier, there is no need to speculate on all the problems that might have arisen if Section 43A had not been there because the statute had resolved these problems. It lays down, firstly, that the increase or decrease in liability should be taken into account to modify the figure of actual cost and secondly that such adjustment should be made in the year in which the increase or decrease in liability arises on account of the fluctuation in the rate of exchange. The result of the above discussion is that once the language of Sub-section (1) is attracted to a particular case, Sub-section (1) applies. Once Sub-section (1) is attracted, its application is excluded, qua development rebate, by the operation of Sub-section (2). Nor is there any in-appropriateness of statutory language as urged. As we have discussed above, the provisions of Sub-section (1) apply to the present case and the increased liability should be taken as ‘actual cost’ within the meaning of Section 43A(1). All allowances including development rebate or depreciation allowance or the other types of deductions referred to in the sub-section will therefore have to be based on such adjusted actual cost. But then Sub-section (2) intercedes to put in a caveat. It says that the provisions of Sub-section (1) should not be applied for purposes of development rebate. The effect is that the adjusted actual cost is to be taken as the actual cost for all purposes other than for grant of development rebate. Read thus, there is no difficulty in the application of the language of the section to the present case. There is no inappropriateness of language either in Sub-section (1) or in Sub-section (2). The language used is quite appropriate and meets the situation fully. Held: It is a clear requirement of the statute that, for purposes of development rebate, any increase or decrease in the actual cost consequent on fluctuations in exchange rate should not be taken into account. It may be that the legislature intended to give a different treatment to development rebate from depreciation and other allowances because the allowance of development rebate can result in an assessee claiming allowances exceeding the original cost. It may be that the legislature thought that, though development rebate was intended to promote development of industries, this could not be allowed at the cost of the foreign exchange resources of the country which are also depleted when there is an increase in liability due to devaluation of the currency. It is unnecessary to attribute any particular reason for the provision when the language of the section is otherwise plain and unambiguous. We do not think that, in face of the language of Sub-section (2), it would be right to permit the assessees to claim development rebate on the increased cost. We, therefore, allow the appeal and uphold the action of the assessing officer granting development rebate to the assessee only in respect of a sum of Rs. 52.48 lakhs and not on Rs. 61 lakhs on the basis of which it was claimed. On a bare reading of the provision i.e. Section 43A(1) the position is clear that it relates to the fluctuation in the previous year in question. If any extra benefit is taken the same has to be taxed in the year when the liability is reduced as provided in terms of Section 41(1)(a) Explanation 2. Therefore, whenever there is fluctuation in any previous year, Section 43A(1) comes into play. In the instant case as rightly submitted by learned counsel for the revenue, CIT(A) recorded to a categorical finding that no argument was advanced and no details were given. In the aforesaid background we feel that it would be appropriate to grant opportunity to the assessee to establish the factual position relating to fluctuation in foreign exchange rate. For that limited purpose the matter is remitted to the Tribunal to consider whether assessee is justified in claiming deduction in the background of Section 43A(1) as it stood then, keeping in view the legal position as highlighted above.